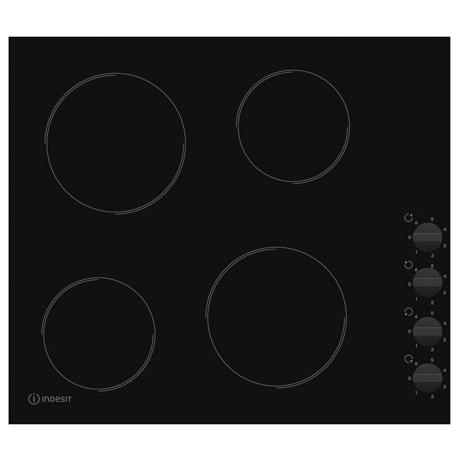 This Indesit Ceramic Hob boasts 4 cooking zones in a modern black finish. Stylish, clutter free and easy to use this hob will seamlessly blend into any kitchen. 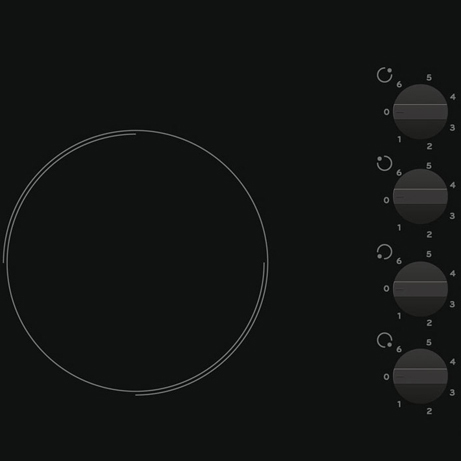 Cook a multitude of different meals with this hob. With the inclusion of 4 alternative sized hob burners you’re able to cook, fry and boil using different sized pots and pans all at different temperatures all at the same time with ease. Easily controlled temperature controls are conveniently located for ease of use. With a market leading, Free 10 Year Parts & 1 Year Labour Guarantee! (subject to registration) this hob is covered for most eventualities.